Google is using the power of big data and machine learning to deliver users the songs they want, when they want them. Google announced this week it is updating its streaming music service, hopefully helping distinguish Google Play Music from its rivals in the streaming music category. To do that, it's using its wealth of user data -- what music you have listened to before and what music you keep going back to, along with music you check out on YouTube, and which artists and genres you search for. Google also is using machine learning to make sense of an array of data, like what time of day it is, if the user is at work or relaxing on a Sunday morning or out running with the dog. All of that information influences what type of music you might want to listen to -- some old school dance music when you're getting ready to go out or some light classical music on a rainy night before bed -- so the streaming service can figure out what to offer up. The update will begin rolling out this week. 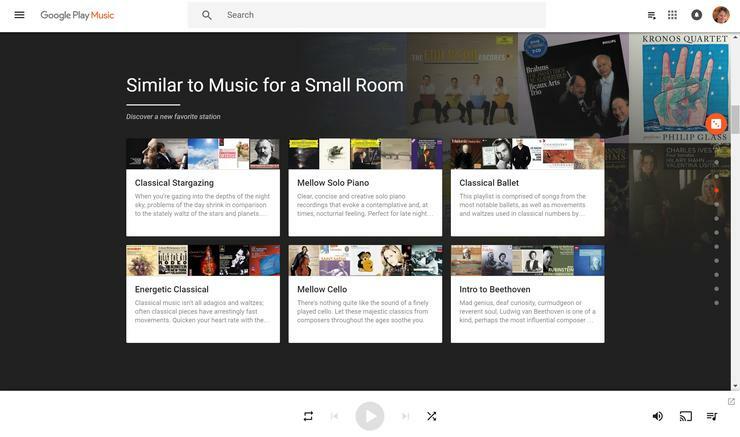 "To provide even richer music recommendations based on Google's understanding of your world, we've plugged into the contextual tools that power Google products," wrote Elias Roman, Google Play Music's lead product manager, in a blog post. "Your workout music is front and center as you walk into the gym, a sunset soundtrack appears just as the sky goes pink, and tunes for focusing turn up at the library." This is Google using a core strength to take on the competition, according to Ezra Gottheil, an analyst with Technology Business Research. "This is smart, using an established Google strength in machine learning to help buttress a potentially important product, Google Play Music," he said. "Actually, predicting what people will like is important and difficult. Everybody, from Amazon to Netflix to all the content-creators in the universe, works hard on this problem. I think Google's new machine learning approach will slightly improve their suggestions..."
For Zeus Kerravala, an analyst with ZK Research, machine learning is going to be the "next big thing" because it enables service providers to be predictive. "I think [Google is] slightly ahead of the curve in that they're factoring in time of day, location, etc.," he said. "It would be interesting to see where they go next, like who is in the room with you. Will the music change depending on whether your kids are home?" Google also announced a new look for its Play Music home screen, while adding that there's an offline playlist, based on what you've recently been listening to, for those times when you can't find a connection. "As long as you remember to charge your phone, you'll have your favorite tunes, even if you forgot to download them ahead of time," wrote Roman.